Home linux News ubuntu Ubuntu to go Monthly ? Ubuntu to go Monthly ? A member of the Ubuntu Technical Board, the body responsible for deciding the direction that Canonical's distro should take when it comes to technical matters, has proposed that the distro abandon its current six-monthly development cycle and switch to a monthly release instead, as used by Firefox. At the moment, Ubuntu releases come twice a year, in April and October, and this predictability - along with an up-to-date implementation of the Gnome desktop - is one of the key features that made it such a success when it launched as a Debian spin-off in October 2004. 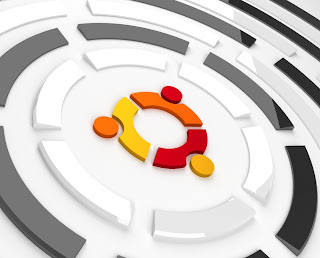 These releases are supported for 18 months, except for the business-oriented long-term support (LTS) releases, which Canonical continues to support for three years on the desktop, and on the server for five years. The system seems to work well as it is, so why change it? He then went on to criticize the motivations of the Ubuntu developers: "Unfortunately Canonical's own performance review and management is also based around this schedule. The Ubuntu developers so employed (the vast majority) have such fundamentals as their pay, bonuses. etc., dictated by how many of their assigned features and work items are into the release by feature freeze. It's not the only requirement, but it's the biggest one." Summing up, he gave three reasons for Ubuntu to switch to the monthly release cycle: "The original reason for the six-month cycle has already been forgotten: features are targeted towards releases, rather than released when ready: because the original base for the release schedule (Gnome) is no longer a key component of the distribution: because no other key component has adopted this schedule." We've plotted what a monthly release cycle would look like for Ubuntu compared with a few other big hitters on the distro landscape. Updating a distro is a time-consuming process, and while it is satisfying to have the latest and greatest software, monthly distro updates could be too much hassle for some. The problem that Remnant has identified seems to us to be more closely related to the Ubuntu developers' pay structure rather than any problem inherent in the release cycle. But if Canonical was to adopt a structure that enabled it to release more often, the logical way would be a rolling release cycle, as used to brilliant effect by Arch. Even OpenSUSE is getting on the bandwagon now with Tumbleweed.